Out of all the pieces of gear one could have there is nothing more versatile or more important than having a sturdy knife. Knives have been one of mankind go to tools since the first caveman sharpened a knife thousands of years ago. This is something that even today, with all the technology and advanced equipment there is, you should also always carry a sturdy knife as hunter or outdoorsman. Knives come in all different sizes from small compact multi-tools like the Swiss Army Knife that simply slip into your pocket, to ones like the Ka-bar that are the size of your forearm. This article isn’t going to cover the different knives, but it will cover some of the reasons that you should be carrying a knife. There are so many different utilizations for a knife, everything from making a makeshift spear or splitting wood to build a fire. You never know when a knife will come in handy, and it is important that you carry one every time you go out. The knife is one of the most important tools for a survival situation. It is no wonder that the caveman first primitive tool was a knife, it can be used for a number of different reason. You can use it to cut firewood, lash the knife to a stick and make a spear, or defend yourself from larger carnivores like bears or wolves. Having one in your bag and knowing how to use it is just as important. You can read this article about survival knife uses and see all the different reasons of why you should be carrying a knife in your gear, whether you are a hunter or a hiker. Also, you should learn the strengths of your knife because not all are made the same, some people even carry a large knife and pocket knife to have one for different uses, however just make sure you have something in your bag to help you if you find yourself in a jam. This seems like common sense, but I am sure everyone here has that one buddy at camp who is always asking you to borrow your knife for cleaning some game he killed. 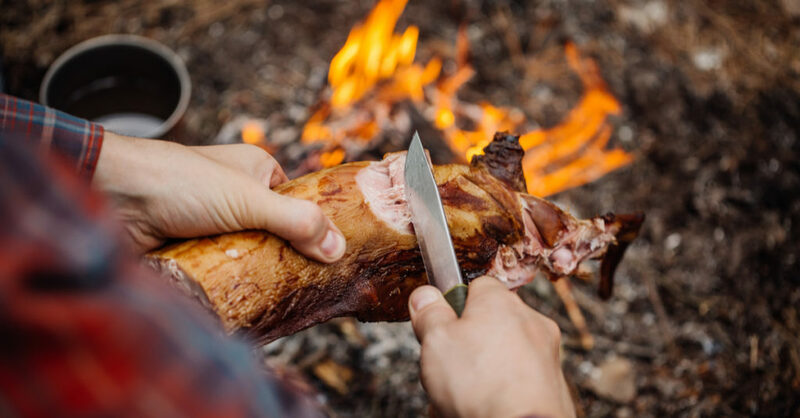 The knife is made for this and you want to be able to clean and skin your deer as quickly as possible so you can get to enjoy your food as soon as possible. 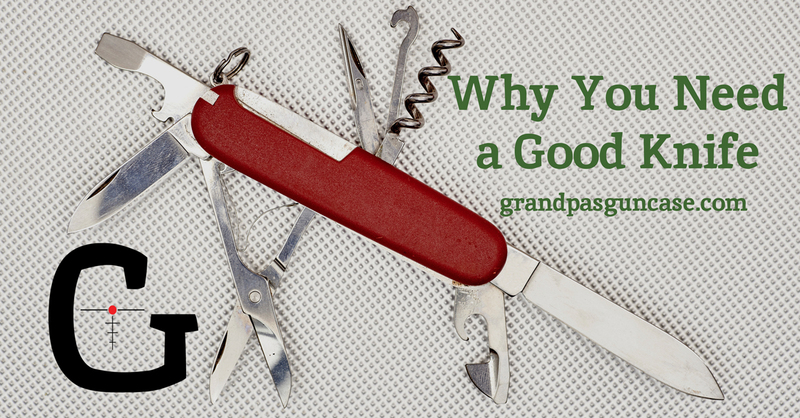 One side note for this article is that you should also have a good knife sharpening kit. This will keep your knife in tip-top shape. You can learn more about sharpening knives here from Buck Knives. You always want to take care of your gear and keep it as sharp as you can, you never know when you need it. 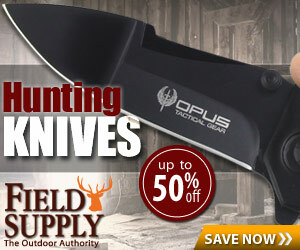 Outside of hunting and outdoorsman activities, it is smart to carry a knife every day for self-defense. If you don’t live in an area that allows you to conceal and carry, your next best option is carrying a knife for self-defense. Any size knife is good, you don’t need a large knife to defend yourself, and you should check and see your states local laws and make sure that you are always following the law. If used properly it is a great tool to defend yourself from a would be attacker. Slashes to the face and neck are the most efficient, because of the trauma and blood loss and aggressive nature can scare an attacker. Stabbing is effective, but you may lose grip on the knife. The same method should be used if you find yourself facing an animal as well. If you are attacked by a bear or wolf, and cannot get to your gun, a knife is your next best option. You will want to strike at the throat or face, as this will do the most damage and have the animal backing up and you can make your escape. Having a knife makes eating and food prep much easier. Whether you are cutting up a nice backstrap, or you are trying to get into one of those frustrating to open Meals Ready to Eat. A knife always comes in handy, and it can keep you from going hungry. There are a bunch of different first aid procedures that you can use a knife for, whether its cutting moleskin or building a splint a knife is an important tool. You can never underestimate the hundreds of situations that you may need a knife, so its good to have even the smallest knife if you don’t want to carry around a large bulky knife. You never know when someone’s life depends on it. This falls under general preparedness, but you never know when you will have to cut your seatbelt. Whether it is you that was in the crash or you come upon a crash, having a knife may be the only way to free yourself or somebody else from a crash. Some knives even come with a seatbelt cutter that makes it easier, and you don’t even have to open the blade for cutting. Also, another good tool to have on your knife is a window punch. This will help you break a window, so you can escape from a burning or sinking vehicle. You can learn more about using a window punch in the following video. While this particular one isn’t a knife; many knives have the window punch attached. As you can see above there are a number of reasons that you should be carrying a knife. You never know when you will need one and you should be sure that you have one. It is one of mans oldest and most versatile tools, it can be used in everything from a survival situation to prepping your everyday meal. All hunters, outdoorsmen, and people should choose to carry a knife on them. You will be sorry if you need one and you don’t have it.